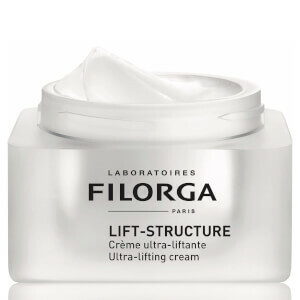 Firm the look of skin with Filorga Lift Structure Treatment, an anti-ageing day cream that performs a lifting effect to help redefine the appearance of facial features. 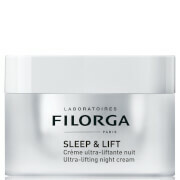 Formulated with active ingredients derived from aesthetic procedures, the ultra-lifting moisturiser delivers visible lifting and smoothing action to help re-contour the look of skin, while Plasmatic Lifting Factors® (comprising Collagen and Hyaluronic Acid) work to tighten and plump the appearance of features. 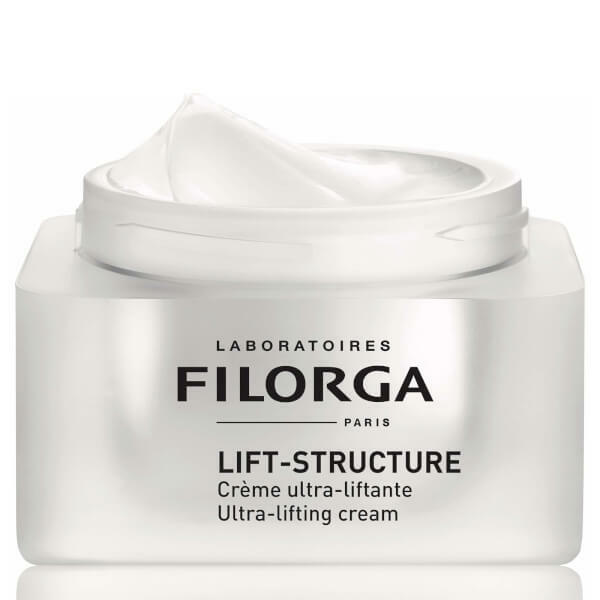 With intensive firming properties, the moisturising treatment takes inspiration from the latest research into biotechnology; it contains a duo of botanical active ingredients to help restore tone and firmness back into the neck and cheekbones. Apply daily morning. Massage gently to make it penetrate. Aqua (Water), Propylene Glycol, Caprylic/Capric Triglyceride, Octyldodecanol, Coco-Caprylate/Caprate, Glycerin, Glycereth-26, Glycol Palmitate, Propylene Glycol Dicaprylate/Dicaprate, Ethylhexyl Palmitate, Cetearyl Alcohol, Glyceryl Stearate, Peg-100 Stearate, Pentylene Glycol, Pentaerythrityl Tetraethylhexanoate, Parfum (Fragrance), Dimethyl Isosorbide, Styrene/Acrylates Copolymer, Aluminum Starch Octenylsuccinate, Curcuma Longa (Turmeric) Root Extract, Butyrospermum Parkii (Shea) Butter, Acrylate/C10-30 Alkyl Acrylate Crosspolymer, Leontopodium Alpinum Callus Culture Extract, Sucrose Palmitate, Hydroxyethyl Acrylate/Sodium Acryloyldimethyl Taurate Copolymer, Isohexadecane, Sodium Hydroxide, Glyceryl Linoleate, O-Cymen-5-Ol, Sesamum Indicum (Sesame) Seed Extract, Prunus Amygdalus Dulcis (Sweet Almond) Oil, Sodium Chloride, Disodium Edta, Polysorbate 60, Trihydroxystearin, Citric Acid, Plankton Extract, Lecithin, Sorbitan Isostearate, Phenoxyethanol, Sodium Citrate, Soluble Collagen, Sodium Hyaluronate, Glucose, Sodium Benzoate, Tocopherol, Xanthan Gum, Sodium Ascorbate, Potassium Chloride, Potassium Sorbate, Calcium Chloride, Phytic Acid, Magnesium Sulfate, Glutamine, Sodium Phosphate, Ascorbic Acid, Sodium Acetate, Lysine Hcl, Arginine, Alanine, Histidine, Valine, Leucine, Threonine, Isoleucine, Tryptophan, Phenylalanine, Tyrosine, Glycine, Polysorbate 80, Glucomannan, Serine, Deoxyadenosine, Cystine, Cyanocobalamin, Deoxycytidine, Deoxyguanosine, Deoxythymidine, Glutathione, Asparagine, Aspartic Acid, Ornithine, Glutamic Acid, Nicotinamide Adenine Dinucleotide, Proline, Aminobutyric Acid, Methionine, Taurine, Hydroxyproline, Glucosamine, Coenzyme A, Glucuronolactone, Sodium Glucuronate, Thiamine Diphosphate, Disodium Flavine Adenine Dinucleotide, Sodium Uridine Triphosphate, Retinyl Acetate, Inositol, Methyl Deoxycytidine, Niacin, Niacinamide, Pyridoxal 5-Phosphate, Pyridoxine Hcl, Biotin, Calcium Pantothenate, Folic Acid, Riboflavin, Tocopheryl Phosphate.